Is Europe Already Domestic Policy for Its Member States? "In the old days, exaggerating just slightly, the European Community used to exist on one planet, and national politics on six, nine, twelve, fifteen other planets. This is over now." 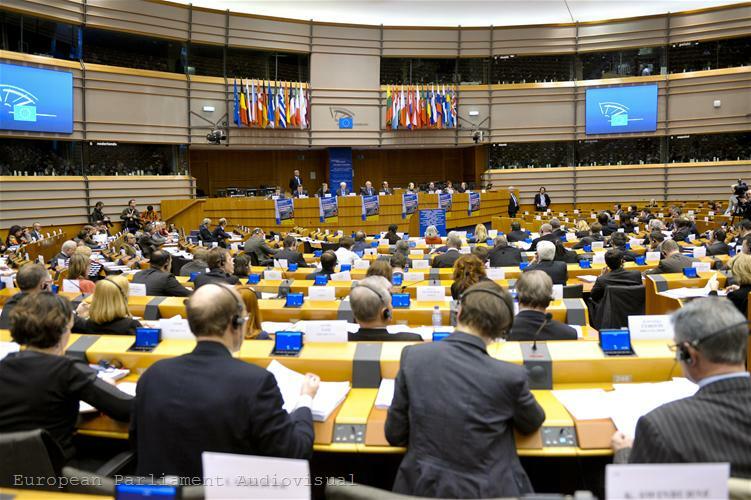 With these words, European Council President Herman Van Rompuy appealed to members of the European Parliament and of the national parliaments of the 27 EU member sates, gathered in Brussels. In fact, 26 member sates, because the German lawmakers were locked all day in the Bundestag to discuss and ultimately approve the second bailout for Greece. 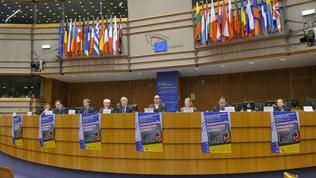 Representatives of the economic and budget committees in the European and the national parliaments took part in a two-day joint meeting in Brussels to discuss the European semester - the process of economic governance and budgetary coordination in the Union, and most of all - the role of national parliaments in this process. "Maybe not formally speaking, but at least politically speaking, all national parliaments have become, in a way, European institutions," the president of the European Council said. Because "this is political interdependence: the decisions of one affect all. Fiscal irresponsibility put the eurozone in danger. A lack of solidarity could have produced the same result." 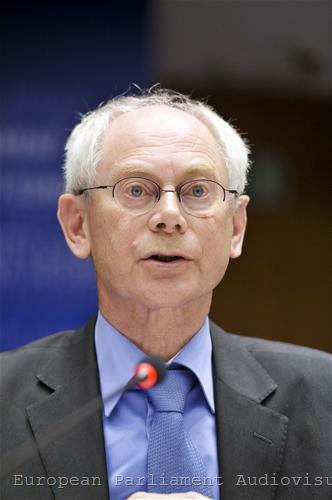 Unlike other occasions, Herman Van Rompuy was extremely straightforward, answering directly to the criticism often expressed by parliamentarians that national leaders had seized control over the EU and especially the euro area, that they made decisions behind closed doors, that the role of parliaments was underestimated. "Some political actors feel side-lined. Some say the traditional 'community method' is abandoned," he quoted directly regular criticisms, expressed by MEPs. But actually, even when we used the intergovernmental road, it resulted in stronger central institutions, Herman Van Rompuy noted. He recalled that the Commission had received a major role in the economic governance package and in the fiscal pact, which had been so much criticised by MEPs for its intergovernmental nature. And with the new proposals (known as "Two Pack") to complement the "Six Pack" the Commission would receive more extensive powers over the national budgets. On this occasion, the president of the European Council was also frank and told lawmakers: "The national parliaments keep their budgetary sovereignty, at least as long as national policies do not threaten the financial stability of the whole." 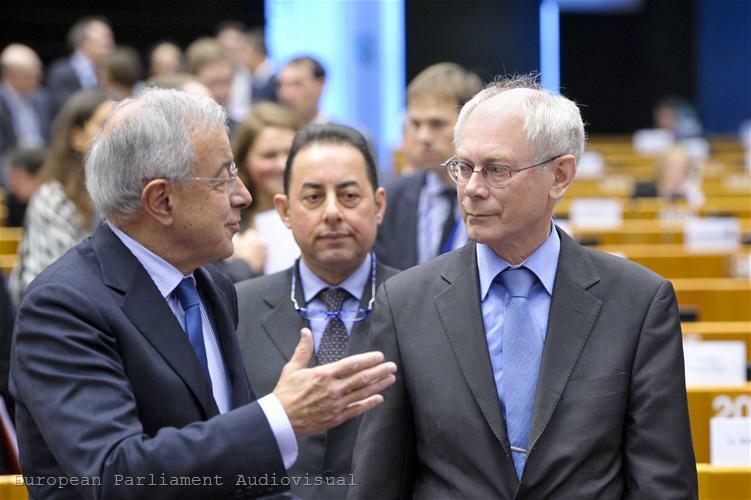 However, since some MEPs have expressed concerns that the Commission would receive too much power with the new proposals, without having enough democratic legitimacy (it is not directly elected), President Van Rompuy noted that European Commission President Jose Manuel Barroso was directly accountable to the European Parliament. As to himself, Mr Van Rompuy noted: "I do have voters of course, but they are only 27 -- 27 electors all democratically elected themselves!," referring to the national leaders. The European Commission President was also categorical in terms of the democratic legitimacy of the Commission. 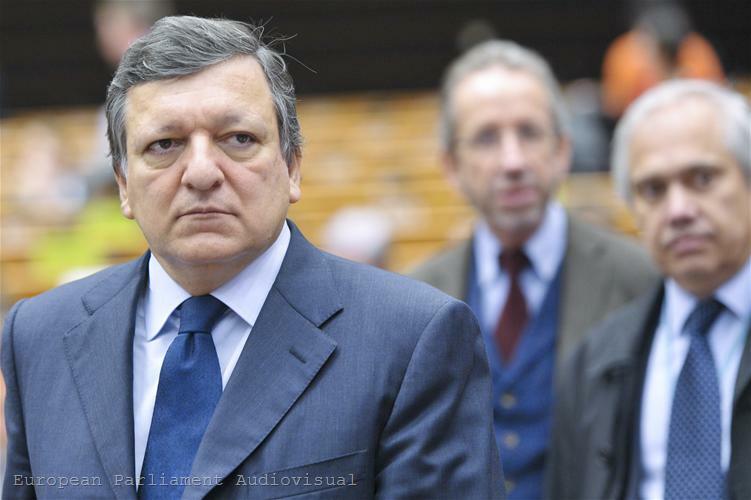 Mr Barroso said the European Commission was accountable to the European Parliament, which was a democratic institution, because it was directly elected by the citizens. 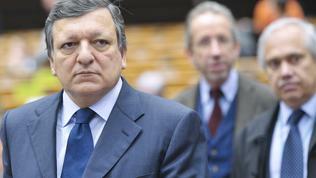 I was elected Commission president by Parliament and this is even more difficult than being elected prime minister, Mr Barroso said. Regarding the sensitive issue of national sovereignty, he reiterated that if in times of globalisation we had no good system of coordination and dialogue between European and national level, we would give up our sovereignty to the financial markets. "Let me be clear – national budgetary decisions are the responsibility of national parliaments and will remain so. [...] I know that there will be concerns or sensitivities about opening national plans to European Union-level scrutiny, but let us not forget that every one of our budgetary and economic decisions is under the intense scrutiny of external partners and market actors." Some national parliaments, however, have already expressed bluntly their disapproval in terms of the new powers of the Commission over national budgets, as they are set in the "Two Pack". In their reasoned opinions the parliaments of France and Sweden said that the principle of subsidiarity (measures to be taken at European level only when the same effect cannot be achieved at national level) has been violated. And while the French Senate criticises only some elements of the proposal (like the need for constitutional changes), according to the Riksdag, "there are insufficient guarantees in the Commission’s proposal for the protection of national competence in the field of fiscal policy." 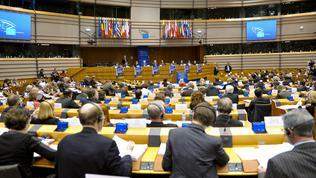 The "Two Pack" has been discussed at the meeting of the Economic Committee in the European Parliament on 28 February. 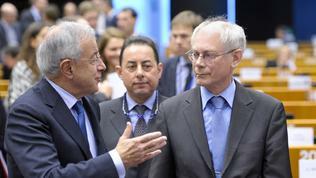 Like President Van Rompuy, Mr Barroso also stressed that there was a disconnect between European and national decisions. He bluntly stated something that is often noted by euinside too: "Sometimes, I have to tell you, I also feel that there is this disconnect about what we here, what the Heads of Government say here in Brussels and afterwards what happens in our Member States." He gave the example of the letter of 12 EU countries to the European Council in which they insisted on concrete measures to boost economic growth. The letter is very important, Barroso said, but it never mentions Europe 2020 strategy – doesn`t this seem strange to you, he asked rhetorically the deputies. 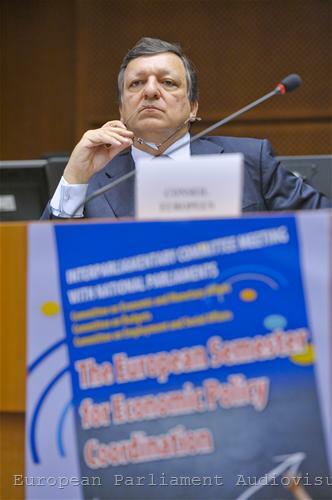 Mr Barroso warned that there was a risk of re-nationalisation of policies, if powers were not introduced at EU level, so strong European institutions were needed. The Commission president underlined that such parliamentary meetings were essential to the democratic legitimacy of the European semester. The chairman of the joint meeting, Alain Lamassoure MEP (EPP, France), said that one of the objectives of the European semester was namely national parliaments to participate more actively in the processes of decision making at both national and European level. So the idea of this meeting is not only to exchange views between national parliaments and the EP, but among the lawmakers from different countries themselves, he said. Despite his call for dialogue, however, the first statements of deputies from France and Belgium directly attacked Germany. The occasion was the Commission report on macroeconomic imbalances, where countries with current account surpluses (like Germany) are not treated. The French representative even suggested that the threshold of 6% for the current account surplus had been determined precisely because of Germany, which had a surplus of 5.9% and thus did not fall within the critical area. Alain Lamassoure had to remind the lawmakers that their German colleagues were not there to defend themselves. A representative of the British House of Lords, said: "You constantly repeat the mantra 'more Europe', but the real problem is the lack of democratic legitimacy, the disregard of national parliaments` decisions." He added that the House of Commons in the British Parliament had made a study, showing that the fiscal pact of 25 EU countries violated democratic principles. It should be renegotiated in order to restore the democratic rights of citizens, having been taken away from them, the British MP stated. 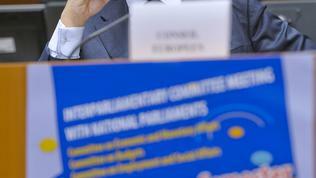 A Greek MP noted that the fiscal pact was not a political project, but a technical one. We cannot constantly put pressure on the Germans to do something they don’t like - to keep paying, the MP stated. According to him, solutions must be sought to deal with the recession in Southern countries, which "destroys people's lives." We don’t have an answer what to do with the welfare state, we don’t have common standards of social protection, and without them we cannot present a viable solution to our citizens, the Greek MP pointed out. 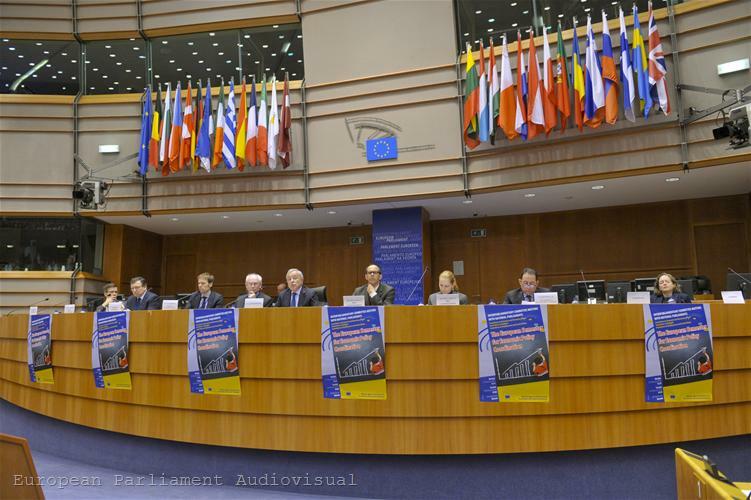 The fiscal compact, as the Treaty on Stability, Coordination and Governance in the euro area is known, was the main topic of the second day of the interparliamentary meeting, along with the "Two Pack". The treaty will be signed by 25 EU leaders on 2 March within the spring meeting of the European Council. During the discussions familiar criticism of Germany was heard for imposing its understanding of fiscal policy, as well as that strict budgetary discipline was at the expense of investment and growth. Even the division of the lawmakers into two working groups, ‘friends of budgetary discipline’ and ‘friends of growth’, clearly demonstrated the division between the proponents of both approaches, despite the statements that a balance between them must be found. 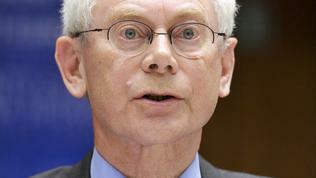 "Europe is domestic policy," President Herman Van Rompuy said at the opening of the meeting. The two-day debate in the European Parliament and the statements of some lawmakers, however, made me wonder whether it was really the case. And if so - whether this is really good for Europe.